The May (P)inspire Me mood board is up at Paper Issues! It's a Coffee theme this month, so I used a favorite cut file from the Silhouette store. 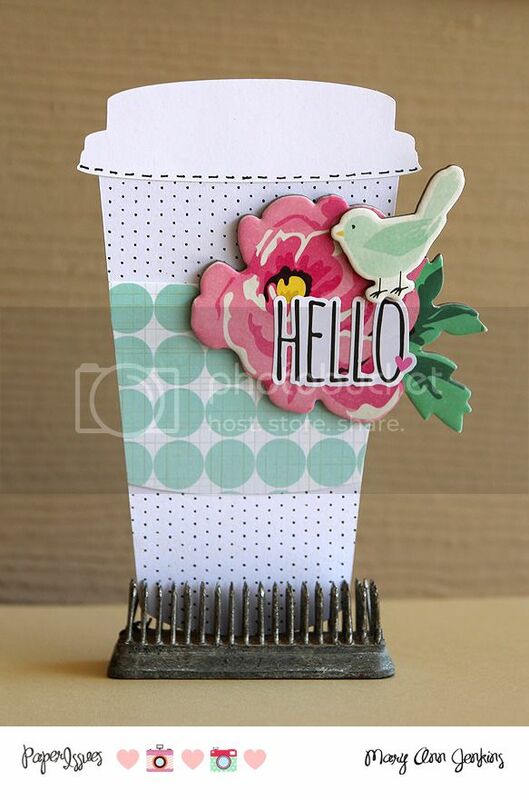 I've made quite a few cards with this cute little cup, it's the perfect size to tuck a gift card inside! I like to cut the design from cardstock, then I add a layer of patterned paper for the "cup", a different paper for the "sleeve" and to finish it off, another layer of cardstock for the "lid". Each of the layers gives it a bit of dimension. 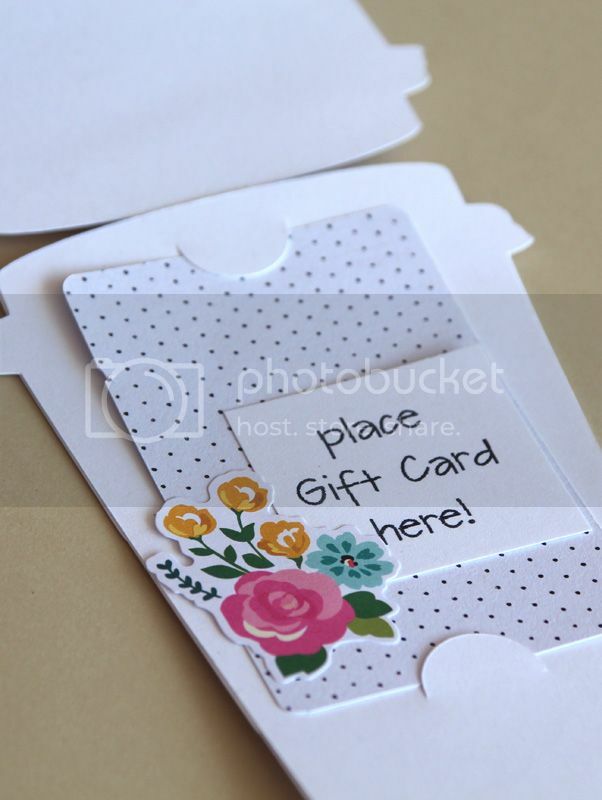 The cut file also includes a separate piece that is then added to the inside of the card, and even cuts notches to hold the gift card! So, so cute!